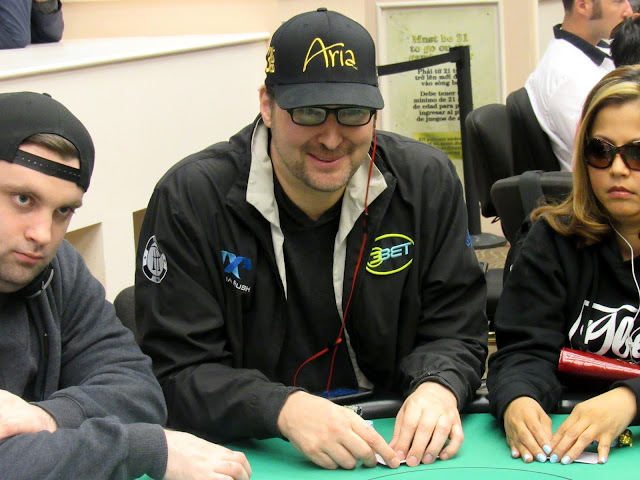 Phil Hellmuth was all in holding pocket queens and was up against his opponent's ace king. The Q-T-3 flop gave Phil top set, leaving his opponent with just a gutshot straight draw. That draw was filled when a jack hit the turn, but Phil could still use his "White Magic" to fill up on the river. A four on the river meant Phil would be eliminated a minute shy of the dinner break. He politely shook his opponent's hand and wished him good luck.